President Muhammadu Buhari has said that he is healthy and has the physical strength to lead Nigeria again if re-elected in the forthcoming presidential election, adding that his appearances at the All Progressives Congress (APC) rallies testify to his agility. The president made this known on Wednesday, January 16, while fielding questions from journalist Kadaria Ahmed on a Town Hall meeting aired live on NTA. President Buhari said he has been to Kogi and other states to campaign during which he took questions from Nigerians and also highlighted his administration’s achievements since he since assuming office in 2015. The president also said he has been enumerating his vision for a better Nigeria at the campaigns if re-elected in 2019. He appeared on the town hall event with Vice President Yemi Osinbajo. 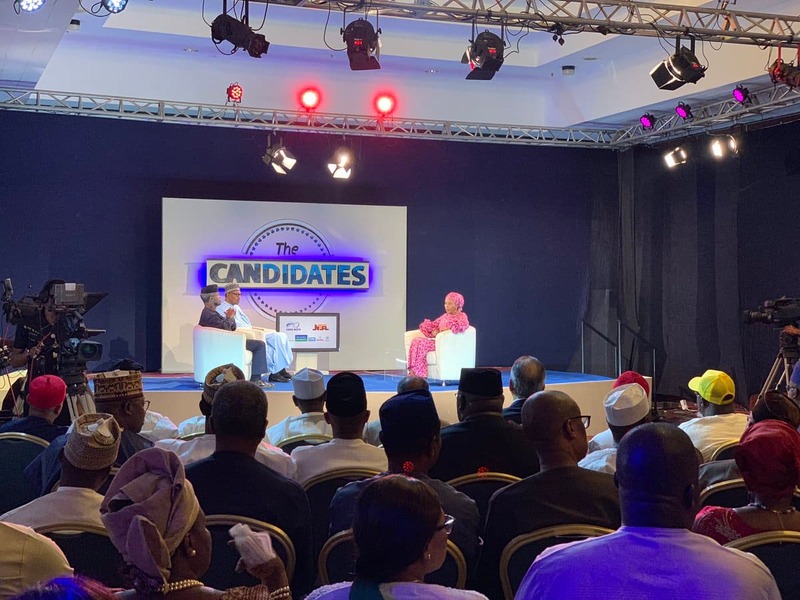 The event tagged The Candidates, is part of a series Ms Ahmed is organising for presidential candidates and their running mates for the 2019 elections. It was organised by the MacArthur Foundation, in collaboration with NTA and DARIA Media. Meanwhile, reacting to a question bordering on his administration’s efforts at fighting corruption, President Buhari urged persons or organisations with any evidence of corrupt practices against members of his administration to come forward with such shreds of evidence to him for prompt action. He was specifically fielding questions on the allegations that the government’s anti-corruption crusade was skewed against a section of Nigerians, and that members of the governing All Progressives Congress (APC) with questionable credentials were being protected by the government. The moderator specifically cited the former Secretary to the Government of the Federation Babachir Lawal, who was relieved of his appointment over allegations of corrupt practices, but was not prosecuted, instead he had been seen campaigning for the president. The president said the criticism was unfair, insisting that there is nobody being pointed out as corrupt in his government which he looked the other direction. He explained that he has to be careful and let the matters go through law courts as he cannot handle them in a military style. The president reiterated that his administration would not tolerate any form of corrupt practices from any quarters, saying those making allegations should be able to provide evidence why the accused should be prosecuted.